"I received digital copy of this book from the author in exchange for an honest review"
It was a long time ago when I received an e-mail with a book and herby I apologize for taking me so long to read it and review it. Especially I have to apologize because it’s a collection of short stories. 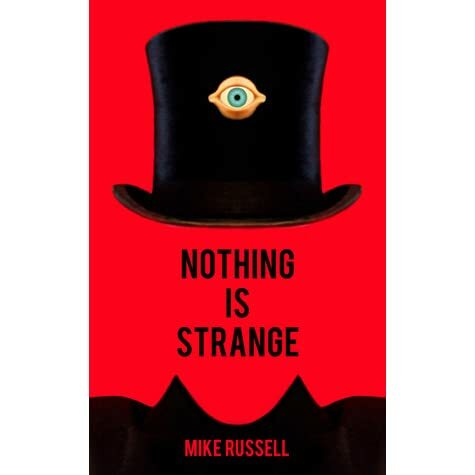 It’s a collection of 20 short stories where everything is strange although the title says different. My first idea was to read 2-3 stories a day in between my work to escape reality but that didn’t happen because I was hooked. From the start Mike Russel captured my attention. Some of the stories are funny, some of them disturbing but mostly they are strange. And I like strange. My favorite one was “Silence” with such a strong message. This stories are short and simple but so powerful that you actually don’t need too many words. This is something I especially admire to Mike. To his ability to say everything in so little words. This collection is not for everyone. If you’re not into weird thing and you need your stories to be so called finished and explained than pick something else. This book described like inspiring, liberating, otherworldly, magical, surreal, bizarre, funny, disturbing, and unique and I have no other words but to confirm it. I have nothing bad to say about this book except it’s a kindle edition. I would prefer to have a physical copy so that I can pick it any time I want or put it in my bag and read it in the tram/waiting room. It’s just not practical to carry around 10’’ tablet. Thank you Mike for sending me this book and hopefully I’ll have an opportunity more of your work. ©Seraphina 2015. Tema Jednostavno. Autor slika teme: gaffera. Pokreće Blogger.